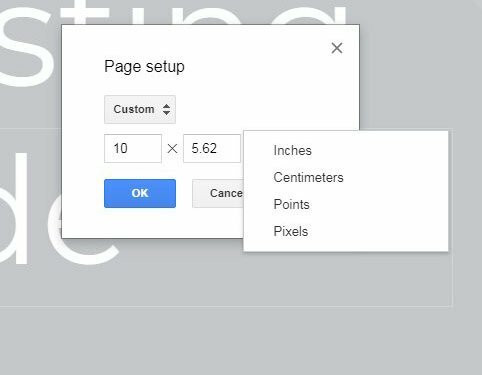 Are you creating a presentation in Google Slides, but you find that the current slide dimensions aren’t suited to your needs? Fortunately this is something that you can change so that your presentation slides appear the way that you need them to. 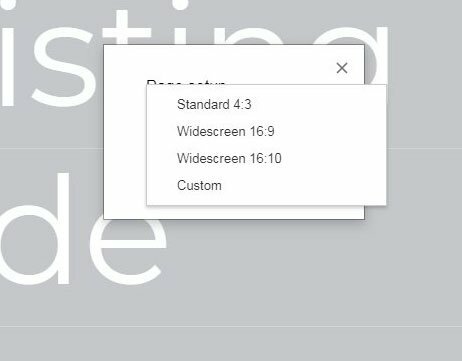 Our tutorial below will show you where to find the menu that lets you specify the dimensions of your slides, and even show you how to use the Custom option that lets you get even more specific about the dimensions that you would like to use. The steps in this article were performed in the desktop version of Google Chrome. Once you complete these steps you will have altered the dimensions of the slides in your presentation. You will have the option to select from a few different default options, or you can elect to enter your own custom dimensions. 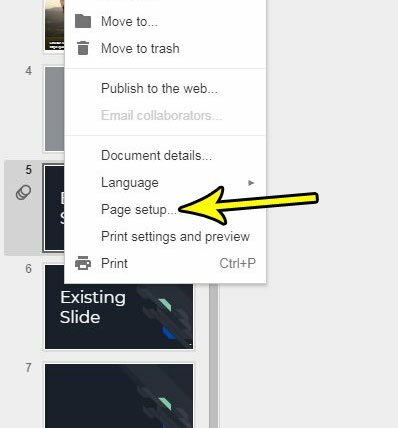 Step 1: Sign into Google Drive and open the Slides presentation for which you want to change the dimensions. Step 3: Select the Page setup option near the bottom of the menu. Step 4: Click the dropdown menu at the center of the Page setup popup window. Step 5: Choose the desired dimensions. If you don’t want to use one of the standard options, click the Custom option. If you elected to specify custom dimensions, you will be presented with the menu below. Select the desired measurement unit for the dimensions, then enter the values you wish to use. Once you’re done, click the OK button. 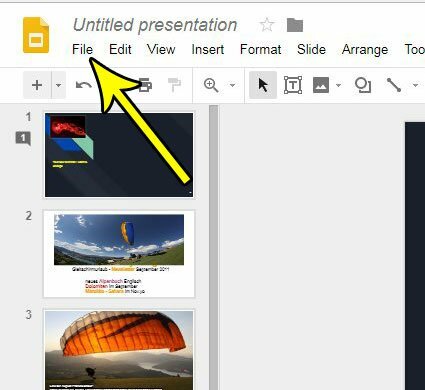 Do you need to share your Google Slides presentation with someone that doesn’t use Google Slides or Microsoft Powerpoint? 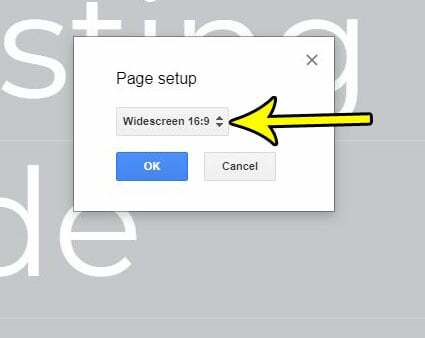 Find out how to convert your Google Slides file to a PDF and make it accessible to someone that might otherwise have difficulty viewing a presentation file. How Can I Set My iPhone to Use a 24 Hour Clock?